The mission of Brighton College is to offer relevant, affordable, unique, career-oriented educational programs to all qualified students in a flexible, personalized manner. In taking customer service courses, you can open yourself up to many rewarding and challenging career opportunities. Customer service representatives provide that valuable link between companies and consumers or clients who produce products or provide services. As a customer service representative, you will be responsible for responding to customer inquiries and complaints, making first contact with customers and providing them with valuable information. Many of the schools that offer this program also offer business certificate programs. Most companies only require a high school diploma and offer on-the-job training, but there is a growing trend for employers to start to demand a more skilled workforce. There are more and more jobs requiring associate's and even bachelor's degrees, particularly with the truly elite and high end businesses. This is a learning field, meaning simply that if the business you are in, such as banking, has regulations or procedures that change regularly, you will have to update your training to understand and incorporate the new information into your arsenal of knowledge in helping customers for that company. Any of the customer service certificate programs above will help you get started. Where can I Find Schools With Customer Service Classes? While it is true you can enter the workforce right out of high school and become a customer service representative with only a few weeks training, this will limit you on the type of opportunities and pay levels you can expect. To earn higher wages and have more diverse opportunities, you should look into a customer service certification. With certifications being more common than degree programs, associate's degrees are available and can be found by doing a little searching. These programs can be found online below. Some schools offering customer service training can even be found by calling your local chamber of commerce. Once you have found the school of your choice with the education level you are striving to achieve, you will have opened yourself for new career outlooks. 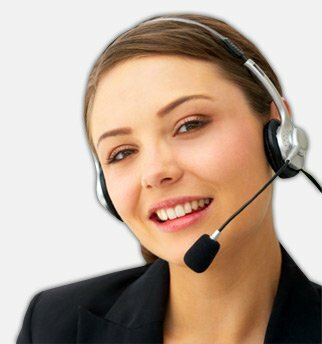 Customer service representative is a broad term, covering many different areas and jobs. There are different niches of customer service such as general, lodging and food. There are also both inbound and outbound customer service jobs. Each set has the same goals, but the approaches are different. While some of these jobs may require additional training, they all benefit from good training with customer service courses.With over 400,000 new jobs expected to be created in the next 6 years anyone in this field has a bright future ahead of them. Retain your focus and support your dreams by taking customer service courses today. Stand out from the crowd! Good customer service can get your company noticed, and make customers want to buy from you instead of a competitor. You can offer promotions and cut prices to draw in new customers, but without solid customer service, your business will not thrive. Regardless of how much they buy, you should treat every customer as if they were the most important. Customer that feel valued and appreciated will be more likely to return. Remember, it only takes a few unhappy customers to cast a negative light on a business. •	Answer your phone – Nothing is more important than ensuring that customers reach a live person. Make yourself available! If you have to use your voice mail, be sure to call the customer back right away. •	Don’t make promises unless you will keep them – Reliability is a key factor in customer service. Customers want to believe what they’re told. Keep their trust and follow through on what you promise. •	Listen to your customers – It is important to really listen to your customers. Give them the courtesy of your undivided attention. •	Deal with complaints – You should try to resolve any problem that arises. If you can assuage that individual, you will have one more happy customer on your hands. •	Be helpful – Customers want assistance from someone that is knowledgeable and willing to help. Put your best foot forward and lend a helping hand. •	Take the extra step – By going the extra mile, you will make a lasting impression. Don’t worry about the immediate profit. They will be back. If you consistently follow these rules, you will help your company become known for its good customer service. You will have repeat customers that ask for you by name! Start your career training now and find an online customer service school.